The past is influencing the present, the ripples in time spreading like the ripples in the sand; why is Tethys, the spirit of the sea, so obsessed with possessing Captain Jesamiah Acorne’s soul – and how can white witch, Tiola Oldstagh, prevent her getting it? Helen’s first historical fiction novels were published over twenty years ago, then in October 2005 she ‘met’ Captain Jesamiah Acorne, the central character in her nautical adventure series, the Sea Witch Voyages. And she’s had a lot of fun writing about him ever since! 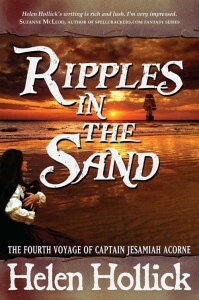 Ripples in the Sand is the fourth voyage of Captain Jesamiah Acorne, pirate captain and charming rogue. As the British march to war, Jack Lark learns that secrets crucial to the campaign’s success are leaking into their enemies’ hands. But who is the traitor? 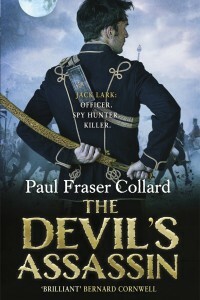 The bold hero of The Scarlet Thief and The Maharajah’s General, returns in an exhilarating and dangerous new adventure. Paul’s love of military history started at an early age. A childhood spent watching films like Waterloo and Zulu whilst reading Sharpe, Flashman and the occasional Commando comic, gave him a desire to know more of the men who fought in the great wars of the 19th and 20th centuries. A deadly dance in the reign of the enigmatic Emperor Hadrian; Antinous, his beautiful Greek lover, battered warrior Vix, his bodyguard, who would very much like to see him dead, and Sabina, his clever wife who must keep them all safe from unseen enemies. 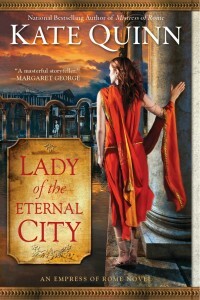 But ultimately, the fate of Rome lies with an untried girl, a spirited redhead who may just be the next Lady of the Eternal City . 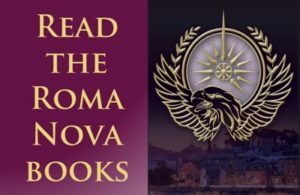 . .
Kate writes page-turning yarns set in ancient Rome (Empress of Rome series) and Renaissance Italy (The Borgias): well-researched history made gloriously fun with plenty of action, humor, romance, and derring-do. A first tiny step into historical fantasy wherein Lysandra is called upon to help shore up a Roman frontier (Dacia) in the face of barbarian revolt. And now it seems that Lysandra’s destiny also lies to the east, and the prospect of a final and bloody reckoning with an old and hated adversary. 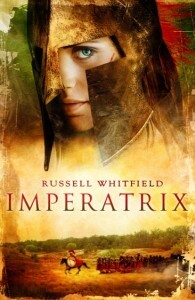 Russ is a writer of historical fiction set in 1st century Rome. His novels thus far concern a Spartan priestess named Lysandra who is (unfortunately for her) enslaved and forced to fight in the gladiatorial arena. From modest beginnings, Lysandra rises to the top and has to deal with fame, fortune and personal crises along the way (whilst killing lots of people in the process). Six thousand years of human history, intersecting at a single place. 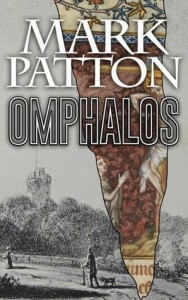 Mark Patton is an author of fully immersive, scrupulously researched historical fiction. The first in a planned series, Bloodie Bones pitches Bow Street Runner and amateur pugilist Dan Foster into the middle of the violent conflict over land enclosures in the eighteenth century when he goes undercover to find a gamekeeper’s killer. 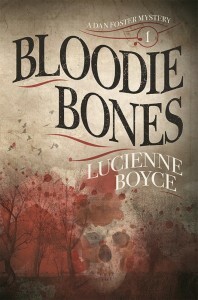 Lucienne Boyce’s first historical novel To The Fair Land is an 18th century thriller about the search for a missing author, a map of a land that should not exist, and a vicious killer. She also writes non-fiction and in 2013 published The Bristol Suffragettes, a history of the local suffragette campaign. Whitehall 1540. After her Dominican priory is closed, Joanna Stafford resolves to live a quiet and honourable life weaving tapestries, shunning dangerous quests and conspiracies. But she is summoned to Whitehall Palace – her tapestry skill has drawn the King’s attention. Surrounded by danger, Joanna must finally choose what life she wants to live: nun or wife, spy or subject, rebel or courtier. Nancy Bilyeau, a magazine editor who has worked for ‘Good Housekeeping’ and ‘InStyle,’ has written a trilogy of historical mysteries set in the reign of King Henry VIII. 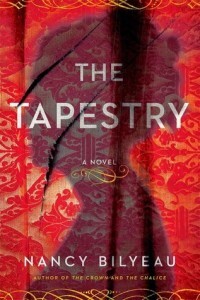 Her 2015 novel, ‘The Tapestry,’ features a Dominican novice who is ensnared in the deadly intrigues of the Tudor court. Shannon Selin loves to immerse readers in the 19th century. Using actual historical characters, she weaves a rich and convincing tapestry of historical fact and possibility, with seamless transitions from the real to the imagined. Find out more at Shannon’s website. 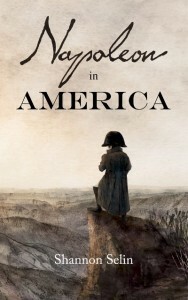 Buy Napoleon in America at Amazon.com. In this fifth Christoval Alvarez novel, set in Elizabethan London, no child is safe; children are misused and exploited by parents, masters, strangers, and society at large, even the children of the rich. When a five-year-old heiress to great estates is kidnapped, Christoval Alvarez, the players of James Burbage’s company, and a disreputable group of child beggars all become involved in the search. 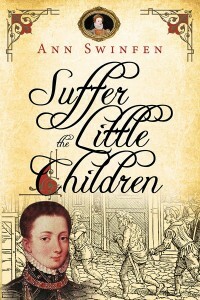 Previously traditionally published, Ann has now gone independent as an historical novelist, with two standalone novels published and two series: The Fenland Series, set in 17th century East Anglia, and The Chronicles of Christoval Alvarez, set in the late 16th century and featuring the young Marrano physician and code-breaker, Christoval (Kit) Alvarez, who is drawn into more and more missions as an agent in Sir Francis Walsingham’s secret service. Matthew Graham returns to Scotland after decades abroad. Homecoming is not an easy matter – especially not when revolution is brewing and sons end up on opposite sides. 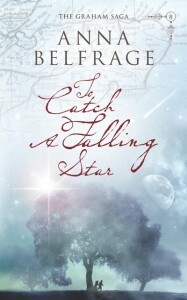 Anna Belfrage is the author of The Graham Saga, a best-selling blend of romance, adventure, high drama and historical accuracy which features time traveller Alex Lind and her 17th century husband, Matthew Graham. Further to this, she actively contributes to various blogs – mostly with historical content – and is hard at work with her next series, this time set in 14th century England. 1881. A daring act of piracy drags ambitious British naval officer, Nicholas Dawlish and his wife Florence into a nightmare of revolution, savage tyranny and political manipulation, made worse by a weakness Dawlish never suspected he had. Amid the wealth and squalor of America’s Gilded Age, and on a fever-ridden island, Nicholas and Florence Dawlish must make very strange alliances if they are to survive – and prevail. Antoine Vanner is breaking the mould of naval fiction by getting away from the Napoleonic Age of Sail to the Victorian Era of Steam and Iron. His novels are closely linked to real-life events and personalities and to the technological breakthroughs of the time. 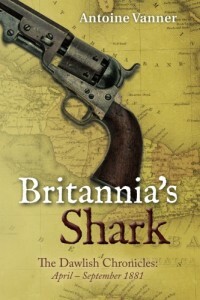 This third novel, “Britannia’s Shark” deals with early submarine development and plays out in locales as varied as the Adriatic, the United States and Cuba in the 1880s. Fascinated by the complex, power and value-driven Roman civilisation since childhood, she wondered what a modern Roman society would be like if run by strong women. 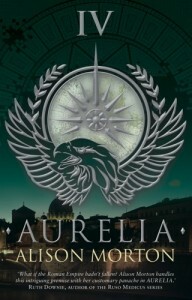 The result is the series of award-winning Roman-themed alternate history thrillers with tough Praetorian heroines. If you enjoyed these fab books, do please leave a review on Amazon, Goodreads, Barnes & Nobel, etc. 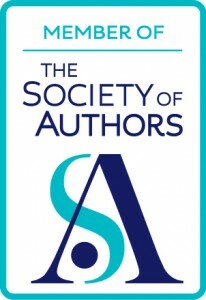 Authors are always grateful! Thanks for organising this Alison! Delighted to bring everybody together! What an excellent list of books, Alison. Thank you! Thanks, Prue. 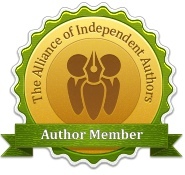 I love working like this with other authors. Whew, just done my final twittering of the happy dozen. Thanks for organising, Alison! Thanks, Ann, for being such an enthusiastic participant!